Bite-Size Business for Actors: A New DIY Course - Just For You! 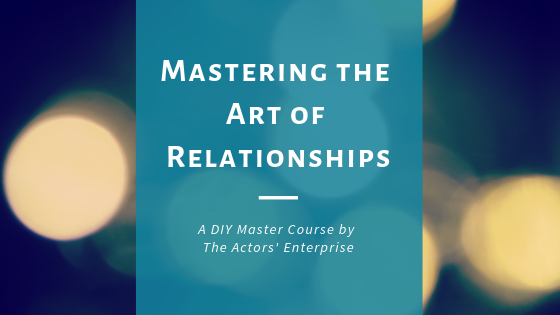 I’m excited to announce that I’ve created an affordable DIY Course to help demystify the entire process of networking: my new program MASTERING THE ART OF RELATIONSHIPS. In the course I go over the three major segments of building a great relationship: Planning, Sharing, and Tracking. The course will be offered starting September 9 on my website: courses.theactorsenterprise.org. To be notified when it will be launched, make sure you’ve joined my newsletter. You’ll receive a special announcement when it is uploaded, and you'll also be eligible to get the Bonus - a 45 Day Networking Challenge that comes with free coaching via Facebook Live. I hope to see you'll take advantage of this amazing course, put together for you with love. I'm launching this course in tandem with the NY Actor's Pro Expo, which is happening this weekend! 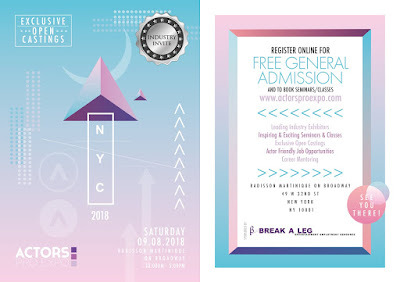 I’ll be giving free mini-coaching sessions at the Expo on Saturday, September 8 - from 10am-4pm this amazing trade show for actors will be packed with people to network with, which is a wonderful kick off to my course. One lucky person who leaves their business card will receive the DIY course free of charge (a $293 value.) So make sure you come on my and drop your business card in the bowl for your chance to win! 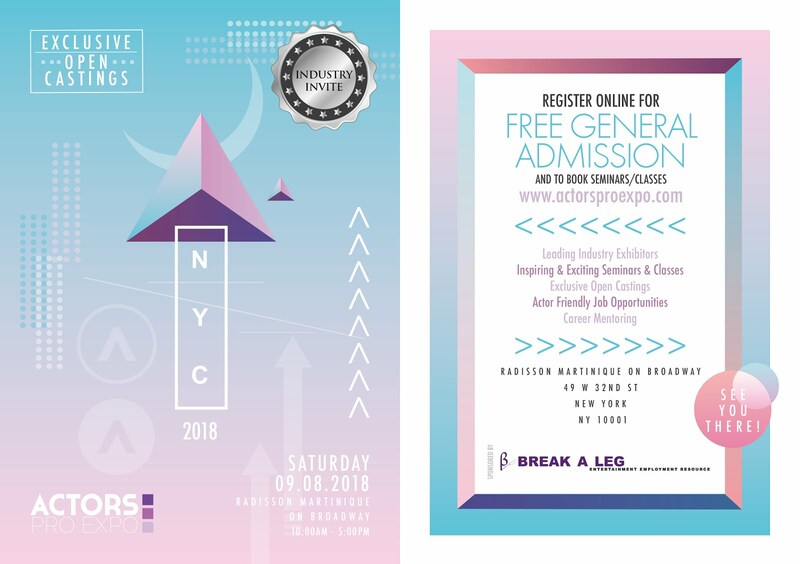 Actors Pro Expo will return to New York in September 2018! FREE ENTRY tickets are limited so grab yours by clicking here now! Actors Pro Expo is a trade show to help creatives DEVELOP and SUSTAIN their career and to CREATE new opportunities for themselves. Attendees get to meet exhibitors from a wide range of services. Actors Pro Expo also offers exciting workshops and information-packed seminars led by a range of top industry professionals. Plus there are a limited number of expert 1-2-1 career building sessions to book on the day. But wait, there’s more! In addition to all these great offerings there will also be not one but TWO exclusive OPEN CASTING CALLS for a range of roles in film and theater! General admission is FREE, the open casting call is FREE (audition slots offered on a first-come-first-served basis), even our Seminars with leading industry-professionals AND expert 1-2-1 career building sessions will also be FREE! For those wanting to get to the next-level in their careers, our Workshops with leading industry experts will be available for $30 each and can be booked online in advance here along with your FREE ENTRY tickets, which are limited, so make sure you GRAB YOUR TICKET BY CLICKING HERE NOW!